Hello! 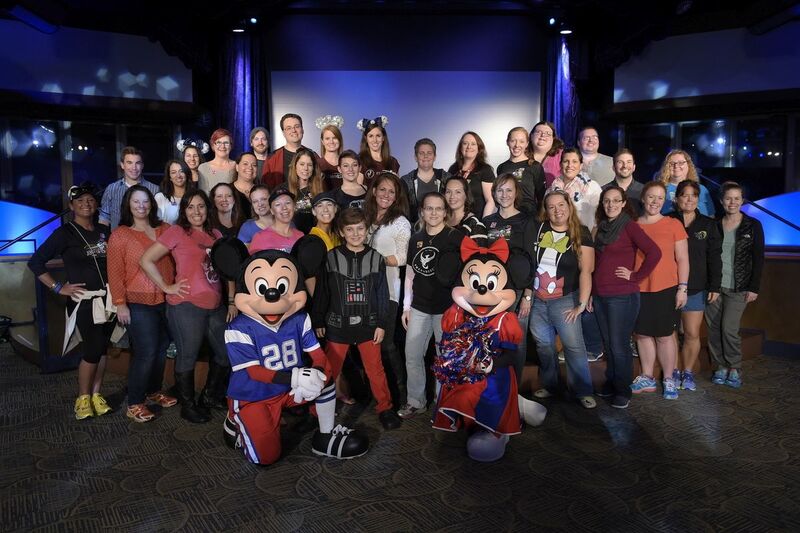 I am back from a whirlwind week of 2016 runDisney Marathon Weekend and a 7 night cruise on Carnival Valor with my best friend! 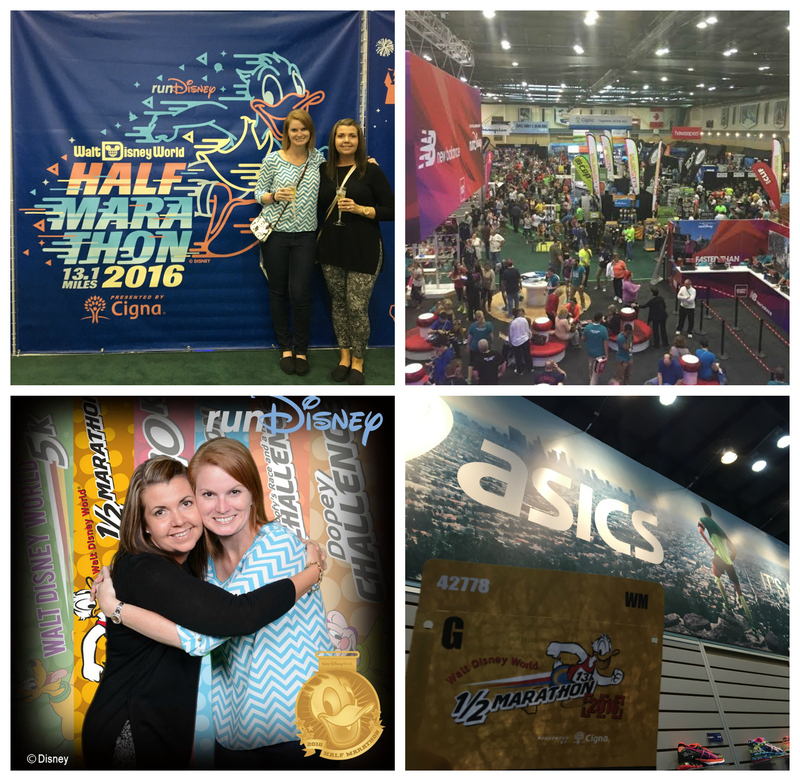 I have so many things to share with you - first up will be a three part post: Cigna Blogger Meetup, runDisney Expo and Hilton Bonnet Creek Marathon Weekends. I got home late Thursday night from a work trip to Atlanta and instantly had to unpack, repack and get ready for both Marathon Weekend and the girls cruise. The first stop when I got to Orlando was to pick up Heather and head to the Cigna Blogger Event. Cigna is the sponsor of Walt Disney Marathon Weekend and they always have fun things planned for media. 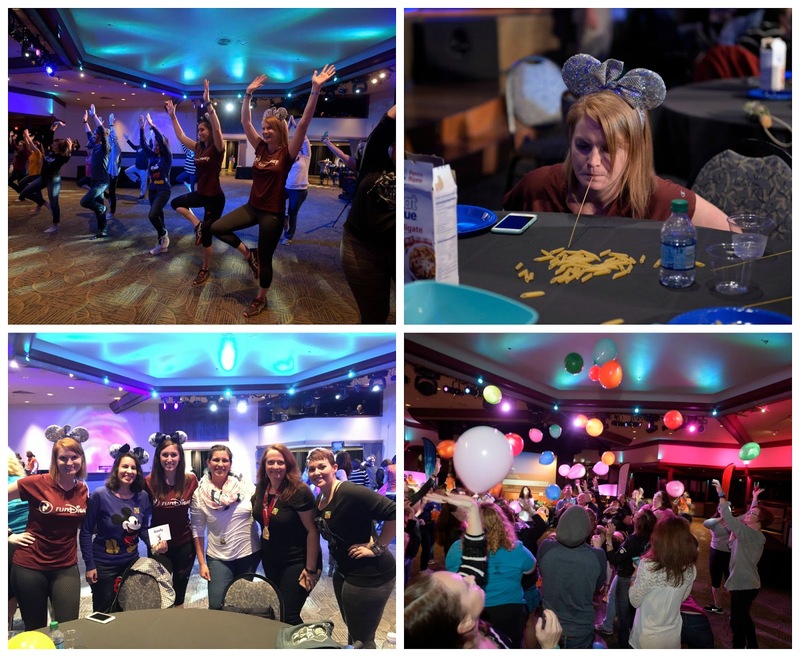 The Cigna blogger meetup was held at Epcot and we played many interactive games to teach us about nutrition and fitness including picking up penne pasta with spaghetti noodles using only your mouth. I was happy that Heather and I were placed on the same team as my friend Amanda and fellow Tampa blogger Caitlyn. Although our team didn't win first place, in my opinion we were still the best! Heather and I couldn't stay and play at Epcot since we both needed to get our packets from the Expo. We picked up her husband Bobby and my Best Friend Keri and headed off to ESPN Wide World of Sports. It was later in the afternoon but still very busy in Jostens Center. We didn't spend much time inside of the expo since we had to get back to Epcot for our dinner reservations. I did take a second to check out the ASICS booth, get our obligatory free photo and of course, a glass of Moet Champagne. Can't break traditions now, can we? 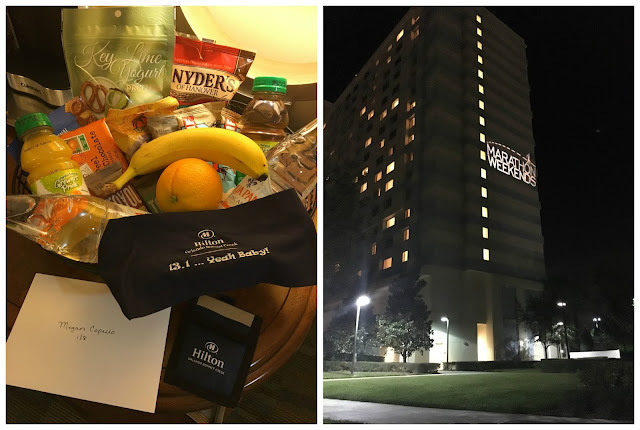 This was my 3rd time staying at Hilton Bonnet Creek Marathon Weekends during a runDisney event. This was by far my shortest stay being we had to leave straight from the race so we could get ready for the cruise. More on that experience at a later time. Since we couldn't take part of the pre-race festivities, runners breakfast and dance party, I posted a photo from last year to show what they do for runners. You can read all about what they do during runDisney events and their current rates for upcoming races by clicking here. 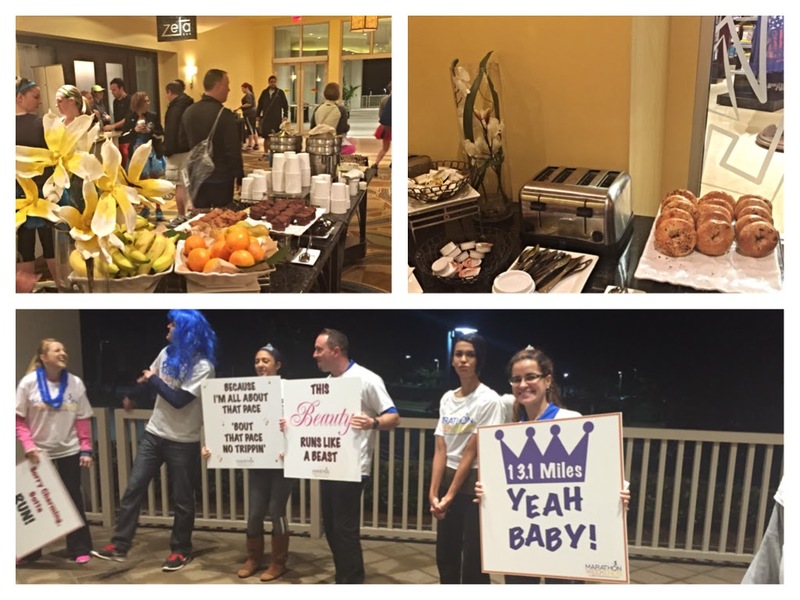 If you have to be up at 3am, you want to be surrounded by people full of energy and a breakfast catered specifically for runners. This is the way to go! Overall we had a great day yet busy day one to kick off our 8 night girls trip. While at Epcot, we witnessed a spectacular sunset. We made the joke that our next 7 nights would look like this (that didn't happen) so I am glad I caught at least one sunset from our vacation.